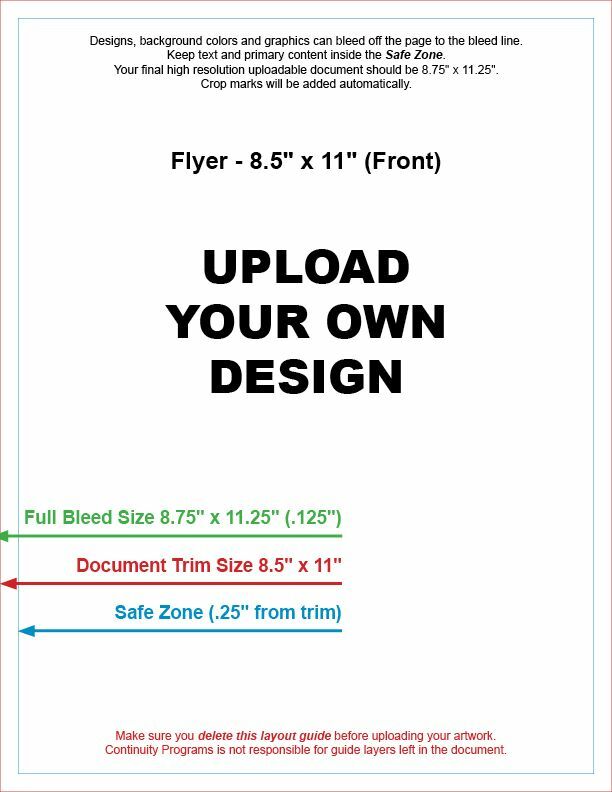 Upload your own design for custom printing. Choose your size to get started. 4.25″ x 6″ Postcard. 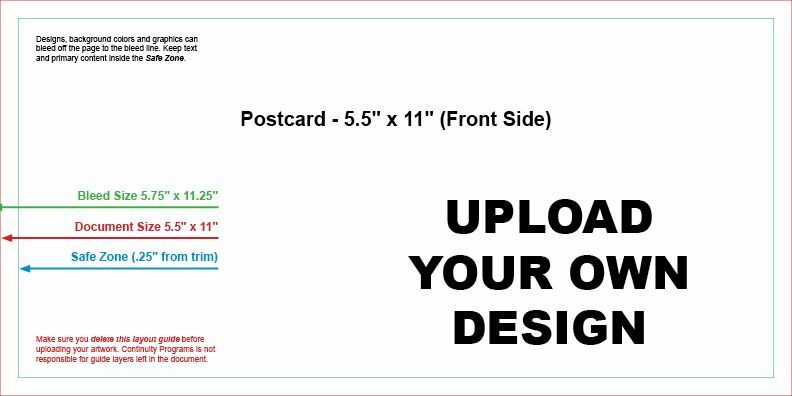 Upload your own designs for the front and back of the postcard. 5.5″ x 8.5″ Postcard. Upload your own designs for the front and back of the postcard. 5.5″ x 11″ Postcard. 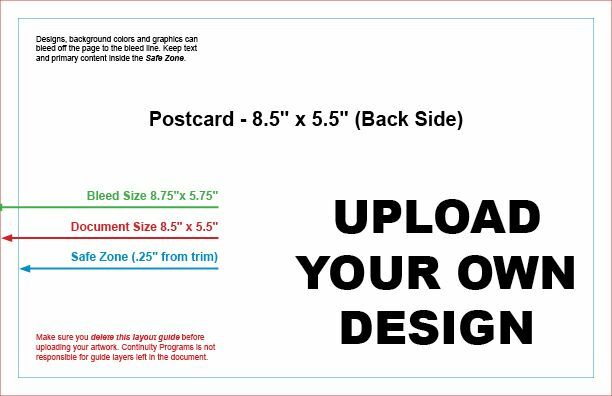 Upload your own designs for the front and back of the postcard. 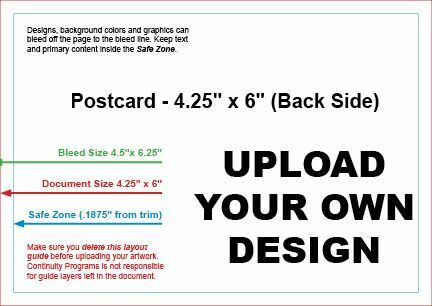 8.5″ x 11″ 2-Sided Flyer. Upload your own design; we print and bulk ship it to you, (each piece not addressed). FREE GROUND SHIPPING! 8.5″ x 11″ 1-Sided Flyer. Upload your own design; we print and bulk ship it to you, (each piece not addressed). FREE GROUND SHIPPING!